I celebrate International Women’s Day 2014 by interviewing a passionate lady, working from Dubai. Her name is Zaina Kanaan. 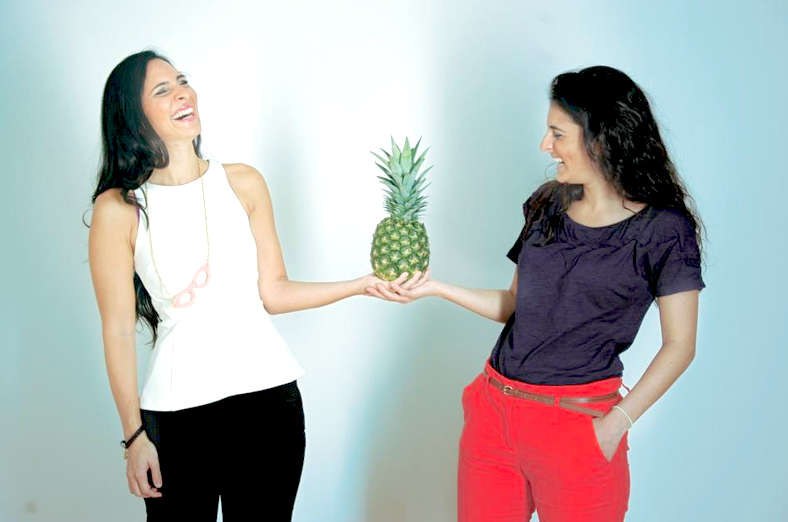 With her sister Rania, she set up Ananasa.com. Ananasa.com started when these two sisters wanted to expose the hidden beauty of the Middle East to the world. I had the privilege to interview Zaina about Ananasa.com and the future of this growing marketplace. Can you tell me what triggered the idea to start Ananasa.com? One of the co-founders (Zaina) is an emerging painter. When I moved to Dubai from Montreal, I found it very difficult to get into galleries because the scene was for the established artist. Therefore, initially my co-founder and myself decided to start a website to sell my art. However, after we started to speak to so many aspiring artisana’s who are artists, fashion designers, home crafters and bag makers we learnt that there are so many people like me. Looking for a platform to sell their work, get recognized and reach the entire world with no boundaries. There is so much beauty in the Middle East that is often not shown or reached. Ananasa’s is a platform to represent the beauty of the Middle East and shed light on all these aspiring artisana who wish to make a living of something they love. When I think of ‘Handmade’ I first think of women. Is this true: do you mainly have female providers? How about your customers? Most of our sellers are women indeed. Although, Ananasa is genderless and invites both men and women to join we’ve noticed that women are the ones that tend to continue to find a way to create what they love regardless of how busy their daily schedules tend to be. At Ananasa we are a team of females, and that wasn’t by design. I think with time and as the Middle East advances we will see more males get into that space but for now it’s mostly women. I regularly write about successful women in the Arab world and how these women contribute to the emancipation of women. Especially, the importance of role models can not be underestimated. Do you want to elaborate on this? Who has been your role model? I especially think Ananasa is a great fit for that. Ananasa gives women the autonomy to set their own virtual shops, manage their prices and operate their own mini business from the comfort of their own home (or whichever location they choose). We have set the platform up in a way where we take away all the logistical, payment and customer service headaches of their business’s so they don’t have to worry too much about the business acumen but rather invest time in making what they love to make. That being said, a lot of makers are learning about the importance of SEO and photography and all these skills are skills that Ananasa is passing on. Typically, Ananasa is challenging the cultural norm of women graduating to work in jobs that they dislike or that don’t empower them and it’s opening doors to them that they haven’t thought possible in their lifetime. A perfect example would be one seller we have in the Northern hills of Beirut, Lebanon, who we spoke to over the phone a few years ago. We learnt that this humble woman doesn’t know how to use the Internet and her son is the one that is helping her load her beautifully Arabic Calligraphy custom made jewelry to Ananasa. Today, she is able to load her own items and manages so much of her mini home business by herself. In terms of role model, I think our biggest role model is our mother. She always taught us if we wanted something so much we should give it our all, work hard and karma will work on our side. She’s also taught us the power of time and that we have to have faith in it’s working. A lot of life lessons are learnt from our mother, which resonated everyday in our business. What is (or has been) the most exciting or special product on Ananasa.com? 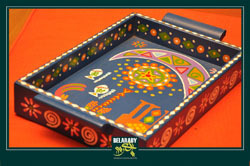 Arabic Calligraphy items. There is big interest in the cultural or Arabian heritage from all around the world. Your business is based in the UAE. Are you from the UAE or is there another reason why Ananasa is based there? We are from all around, growing up in Jordan and Montreal for the most part of our lives. We moved to Dubai initially because Montreal got too cold and it was time for a real change. We started working for the corporate world after we decided, we wanted to do something that impacts the lives of people and that makes us happy and fulfilled. We saw great potential for Ananasa, and thankfully the hard work and resilience is proving to pay off as we enter the third year of our venture. What do you see for the future of Ananasa.com? Our vision with Ananasa is to have an item from the website placed in every household around the world. 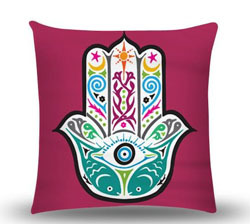 Ananasa today has over 400 sellers covering 10 Middle Eastern countries. We would like to span more of that region this year offering a bigger variety of handmade items. Also, we’ve just recently launched the bargain button which, like a virtual bazaar, allows buyers to haggle priced with the sellers so that everyone gets the price they wish for, a perfect win-win scenario. There is constant adaptation and problem solving with the business, which keeps it fun for us on a strategic level. In 2 months (or a little less) we plan to launch a new face of Ananasa that we feel captures the brand better and we are looking forward to that. To conclude, how about the name Ananasa, what does it mean? And that is why it’s called Ananasa (اناناسة).